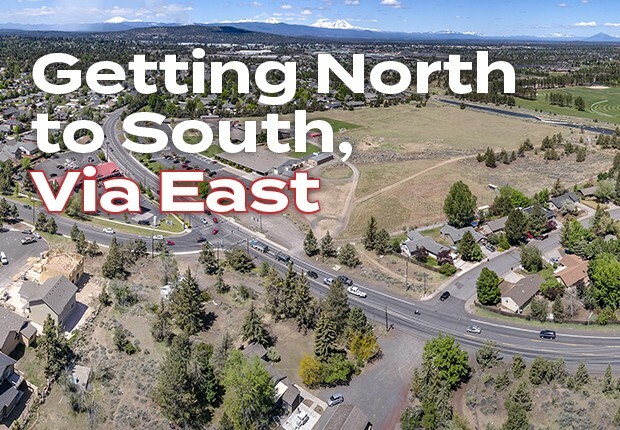 When it comes to City of Bend priorities, one big one is a project that will connect 27th Street to Empire Boulevard—and one that may cause temporary headaches for those in the area. The extension would extend Empire farther east, past Purcell Boulevard, and would extend 27th north of Butler Market Road. The two will join just west of Pine Nursery Park. 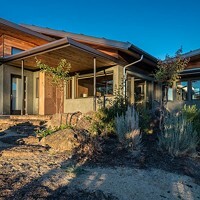 "This project was identified in the early 2000s as part of the transportation system plan," said Sinclair Burr, project engineer with the City of Bend Public Works Department. "At that point, it was identified as a new means by which people get from the north part of the town, to the east side of town and vice versa." The City has been working on the project for nearly 15 years, having originally planned the design between 2004 and 2006. They were forced to stop before it could get off the ground. "With the recession, we kind of had to reprioritize all our transportation projects— then the Empire extension was cut," Burr explained. "Last year, one of [the City Council's] goals was to update our transportation system. The Empire Corridor Improvements Project was one of the highest priority projects in the objectives to achieve their goal." Over the past year, the public works department has been working with consultants to help design and construct the project, with the goal of a smoother traffic flow, as well as alleviating some of the traffic on Butler Market and Purcell. "Instead of a signal and a stop controlled intersection, it will be two roundabouts," Burr said. "As far as the intersection at Purcell and Butler Market, we're anticipating that traffic is really going to drop there. People do the whole Empire to Purcell, to Butler, to 27th movement. 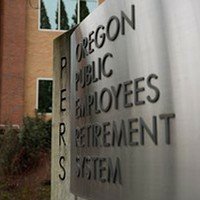 So, that's going to pretty much be eliminated." During peak hours, the roads associated with the Empire Corridor Improvements project — including Empire (18th and Purcell); Purcell (Purcell and Butler Market); Butler Market (Butler Market and 27th); 27th (just south of Butler Market) — each see around 1,000 cars per hour or more. Mike Beshore and other disc golfers hope that the 18-hole course can be reconfigured. 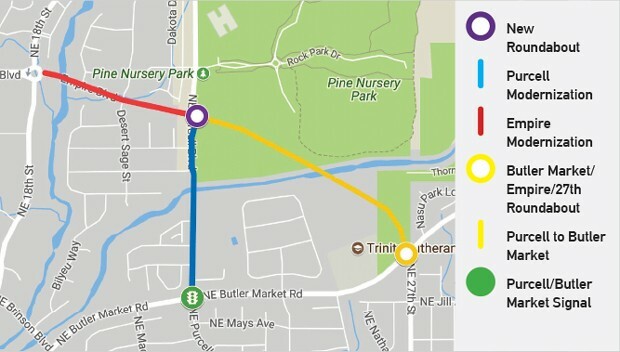 The project—part of the City's overall Transportation System Plan—will affect businesses in the area, mainly ones on the corner of 27th and Butler Market, as well as cutting the disc golf course in Pine Nursery Park in half. "It mostly just affects that southwest quadrant of the park," Burr said. "There will be impacts to the park, but mostly just the Frisbee golf." The Central Oregon Disc Golf Association has been operating in the city since 2002, and helped Bend Park and Recreation District build the disc golf course at Pine Nursery. 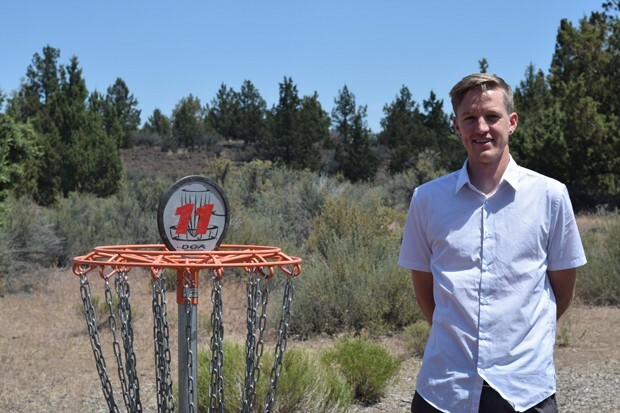 "We've known that it's been part of this master plan for some time," said Mike Beshore, president of the Central Oregon Disc Golf Association. "It's only within the last year that things have kind of started to get moving with the city. We've only learned in 2018 of the more formalized timeline." In Bend, there is only one public 18-hole, basketed course. There's a private course at Seventh Mountain Resort, and a few smaller courses in town, but many disc golfers rely on the Pine Nursery Park location. The club worked with BPRD to build the course and make it what it is today. BPRD bought the baskets and materials, and "the labor to install the property was done on a volunteer basis," Beshore said. "Parks and Rec offered front-end loaders and things to move mulch and gravel around. But it was club members and members of the community who were wheelbarrowing gravel and mulch all over the course to build the tee pads." The club currently has nearly 200 members, up from 60 in 2014. The course is important to those who use it, and club members hope the City will work with them to keep the course close to what they have now. 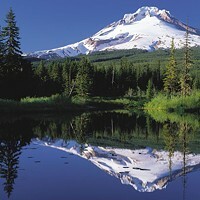 "It's our only 18-hole course in Bend. Our Tuesday league is our biggest weekly league. That's for six months of the year. We average about 50 people out here on Tuesdays. So with that respect, it's hugely important," Beshore said. "The footprint's going to change. It's going to look different. But the hope is that 18 holes will still be on the property." Still, Beshore and other club members understand the city is growing. "There's been a big effort by City Council and other local politicians to make this go through, which is totally necessary," Beshore said. "Bend does have this west to east traffic problem." During construction, businesses and people living in the area will be feeling the changes. According to Burr, "During that time, there's definitely going to be traffic impacts, for both businesses, and residential people. As well as the school. It's just part of construction." Big O Bagels is one of the businesses on the corner of 27th and Butler Market. Its managers have been through construction before and are not too worried. They see a lot of traffic from both Mountain View High School and Trinity Lutheran School, as well as a Sunday rush from Trinity Lutheran Church. "I think it'll be OK. Obviously, it'll slow down for a little bit. 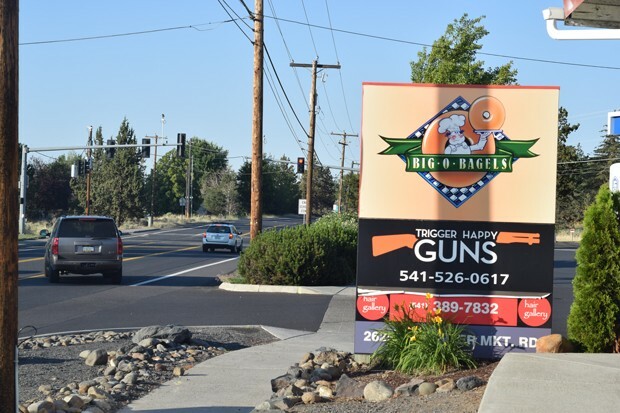 If it's not a permanent thing then we're not super concerned," said Noel Reiner, general manager of Big O Bagels. "It's just growth, it's inevitable I guess." The city is looking at a phasing plan for the project. According to Burr, phase one includes some improvements to Empire, between 18th and Purcell, and adding sidewalks on the south side. "The existing pavement section is really, really thin. And we're also going to be doing a little bit of widening, to get a left turn at Desert Sage. And it also includes the Empire, Purcell roundabout," Burr said. "During that time, there's definitely going to be traffic impacts, for both businesses, and residential people. As well as school. It's just part of construction. Currently, we have the design at the roundabout about 60 percent off of the roadway, into Pine Nursery Park, in that disc golf course, and about 40 percent on the road." Phase one is expected to begin in fall of 2018 with a goal of wrapping up around spring of 2019. Phase two could start as early as summer of 2019. Because of the impact, city officials are working on phasing as much as they can so they can build the first piece and then, "push traffic onto the newly constructed piece, and build the rest of it," Burr explained. "There's absolutely going to be traffic impacts. We're just doing what we can to minimize them." "There's growth, and so it's needed," Reiner of Big O Bagels said. "It'll probably slow it down for a little bit, but hopefully the construction workers are hungry, and they'll come on in."